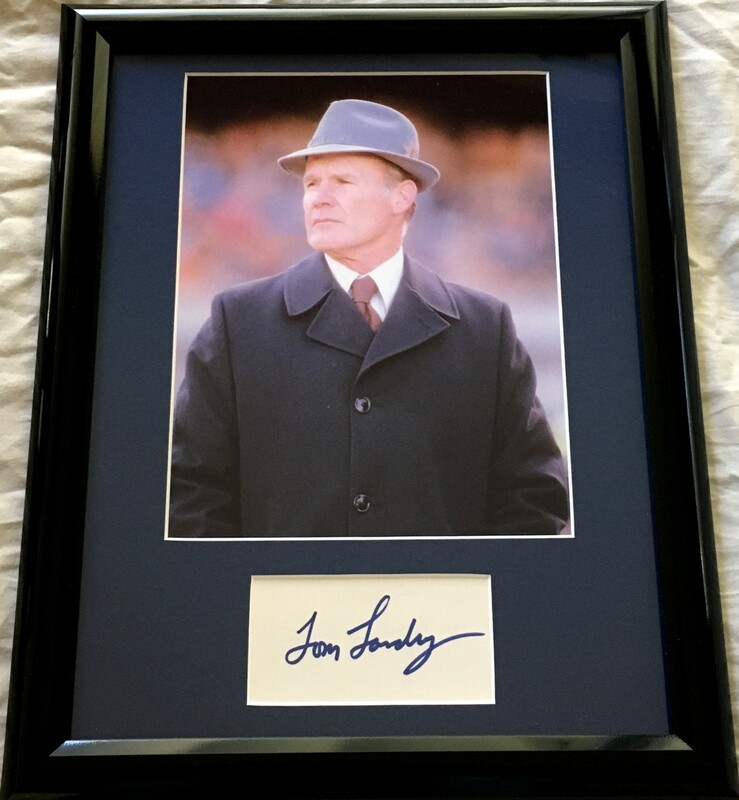 Plain white index card autographed in blue Sharpie by the late, legendary Dallas Cowboys head coach Tom Landry, matted in blue to 12x15 inches and framed with plexiglas in black plastic, ready to hang. With certificate of authenticity from AutographsForSale.com. ONLY ONE AVAILABLE FOR SALE.